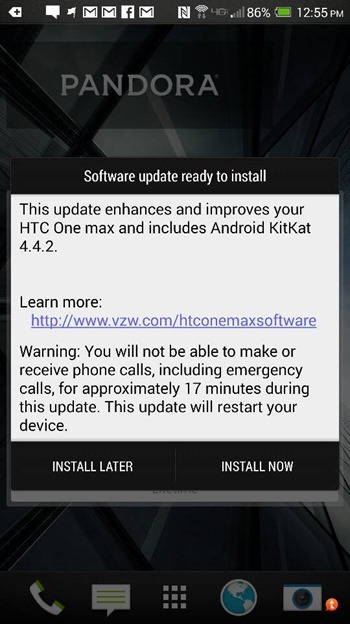 Back on Friday, HTC's executive director of product management announced that the One Max on Verizon should receive an OTA update bringing the latest version of KitKat after the weekend. 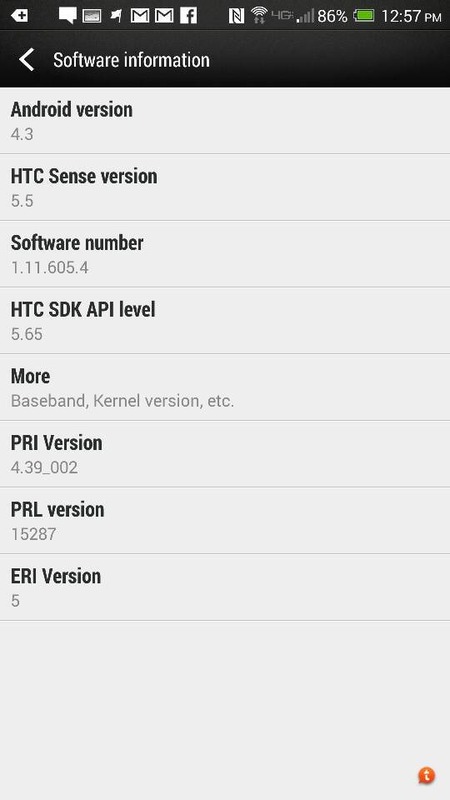 Well, Monday's here, and so is the update. 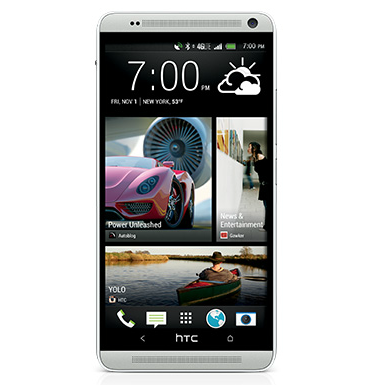 Verizon HTC One Max owners should now or soon receive an update notification that looks an awful lot like this one. 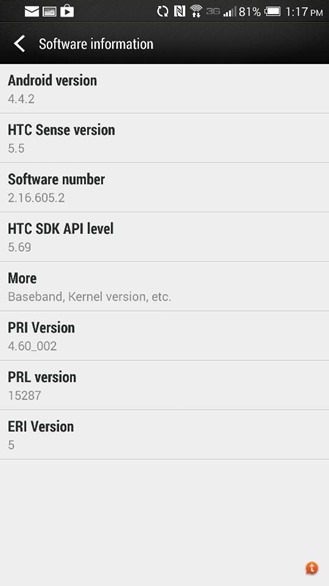 The build number is 2.16.605.2. Here is the before and after. Verizon's provided a support PDF with some of the details, but none of the carrier-specific changes are really of interest here. 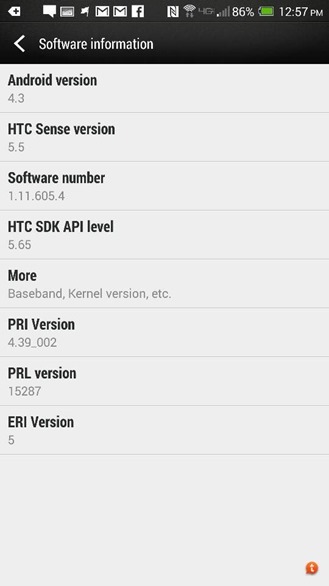 What matters are those introduced by Android 4.4.2. 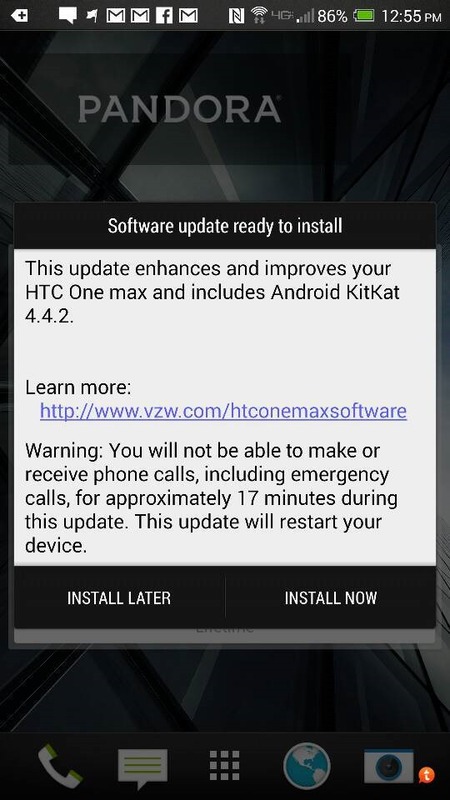 By this point, people know what to expect, but you can always take a look at the Verizon HTC One KitKat update for somewhat of a refresher.